After releasing a demo album, they simplified their name to Kyuss, the necromancer responsible for making the aformentioned zombies. Their first major release, Wretch, was mostly a remake of the songs on Sons Of Kyuss, to little critical acclaim. 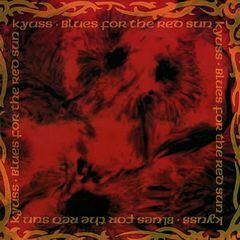 Their second major release however, 1992's Blues For The Red Sun, was produced by Chris Goss of Masters Of Reality fame, and was able to capture the ferocity of Kyuss live in the studio. Blues For The Red Sun is widely recognized today as a classic, and is among Q Magazine's "50 Heaviest Albums of All Time." One of the reasons why I like Kyuss is because they are able to blend a number of genres into a Hendixish-Sabbathesque pastiche which many so-called "Desert Rock/Stoner Rock" bands have emulated but never quite been able to duplicate. Interestingly, Josh Homme the guitarist for Kyuss (and more recently Queens Of The Stone Age) claims he never really listened to Black Sabbath until late in his career in Kyuss, despite the many similarities with Tony Iommi, such as downtuning and a penchant for melodic noodling. This particular track, "50 Million Year Trip (Downside Up)" shows the band's great dynamic range, from driving to merely throbbing to quietly introspective and back. Another thing about Kyuss are the dada-esque approach to the lyrics. In many cases, the words seem to be chosen more for their rhythmic qualities rather than for their meaning, rendering nearly all their songs completely meaningless. It's as though they are making fun of the pretentious lyrics many "arena rock" songs aspire to.